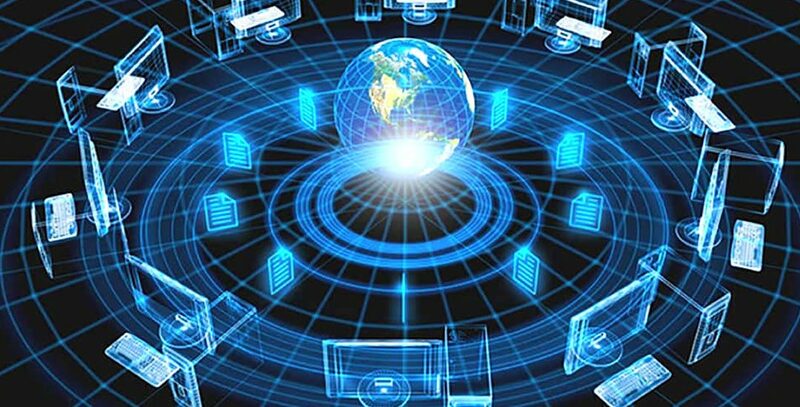 Computer networks can be interpreted as 2 or more autonomous computers that are connected to one another through network communication media, to share information, data and also existing resources. The main purpose of a computer network is sharing resources (read: resources), where a computer can utilize the resources owned by other computers that are in the same network. The development of computer data and network communication technology today is no longer limited to computers. Various communication technology devices that are present are currently developing in line with the development of computer technology, many of which integrate computer devices such as microprocessors, memory displays, storage, and communication technology into them even though this technology was developed for computers that we can currently use in technology computer network. -medium connection, which connects one computer’s network card to another computer, commonly referred to as a data transmission medium, can be either wired or wireless or wireless (wireless such as radio, microwave, satellite, etc.). – Network operating system software (NOSS) which functions to manage network systems, for example: Microsoft Windows 2000 server, Microsoft Windows NT, Novell Netware, Linux, and so on. • Source. This device has the duty to generate or determine the data to be transmitted; for example a telephone or personal computer. • Transmitter. Usually, data is generated by the source system and is not directly transmitted directly in the form as the data was created. A transmitter will transform and encode the information in the form of electromagnetic signals that can be propagated on the transmission system. For example, a modem takes a bit stream from a computer and transforms it into analog signals that can be propagated on the telephone network. • Transmission System. This can be in the form of transmission media or communication lines or a complex network that connects source and destination. • Receiver. The receiver receives signals from the transmission system and converts them into a form recognized by the destination device. For example, a modem will receive analog signals coming from a network or transmission line and convert them into digital streams. • Destination. Is the final goal of sending data that receives data from the receiver. How is the Data Communicated? The picture above is another perspective of the data communication model (figure a). To facilitate understanding, we take the example of sending electronic mail. Learning Information Technology in this day and age is very important, because nowadays most of them use information technology tools. Learning information technology is very beneficial, where we can use it in everything. With Information Technology we can know a lot of things that we don’t know. Technology develops very fast. One area that has a significant impact on technological developments is in the field of education. During the three semesters, I got a lot of knowledge. began to study networks, databases to get to know the Website to operate it. Now I am getting used to information technology tools. Now I know that everything can be done with internet networks. For example Facebook. I often use Facebook, because there I can communicate with friends, family, teachers and lecturers. In addition to communication, I can use the internet network to look for sources, and other things. Lots of people who use internet networks. Using the internet network nowadays can be done anywhere, because there is already a hotspot, in addition to internet network hotspots can also be obtained by using a modem. Apart from the above, I also learned about the history of computers, the internet and other things. That is very important, because besides just using it, I also have to know its history. Besides Facebook, I also learned about blogspot. Blogs are an easy way to recognize someone’s Blogger personality. In the blog I can write about what I want, because on blogs also reveal about a person’s personality. Before creating facebook and blog, the first condition is that we must have e-mail. E-mail is very important, because by e-mail I can do many things, such as creating facebook, and many other things that use e-mail. In addition to the internet, I can also find out about the media that are currently being used by the public. Laptops and notebooks are one example that is currently being used by many people. Laptops and notebooks are very practical, so they can be taken anywhere. Besides laptops and notebooks, the contents are complete. Actually we have used information technology since ancient times, only the forms and methods are different, while the intent and purpose are the same. Maybe in the past it wasn’t so sophisticated, so there were limitations. Everyone must know about information technology.